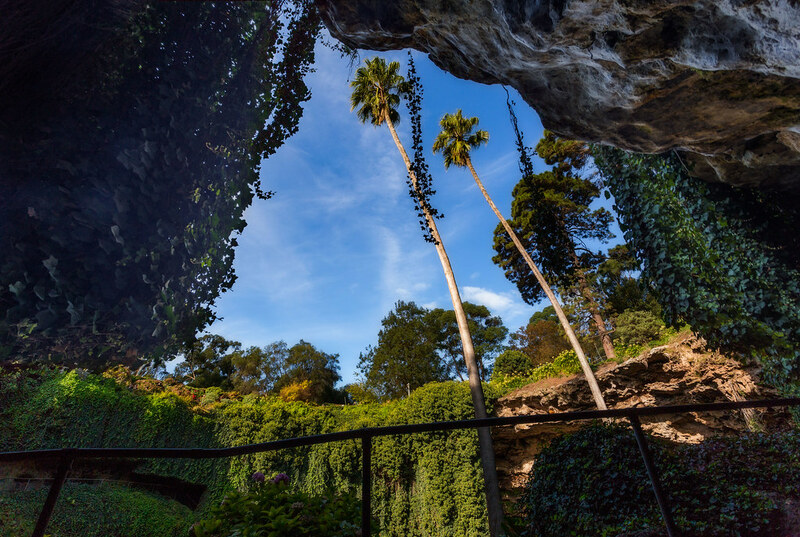 The region in the southeast of South Australia, near Mount Gambier, is littered with many volcanic and karst features such as volcanic craters, lakes, limestone caves, water-filled caves and sinkholes. One particular sinkhole, located just off Jubilee Highway East, is particularly worth visiting. What was once a typical limestone cave formed by the corrosion of limestone rocks by seawater, and the subsequent collapse of the chamber’s roof, has been transformed into a beautiful garden. 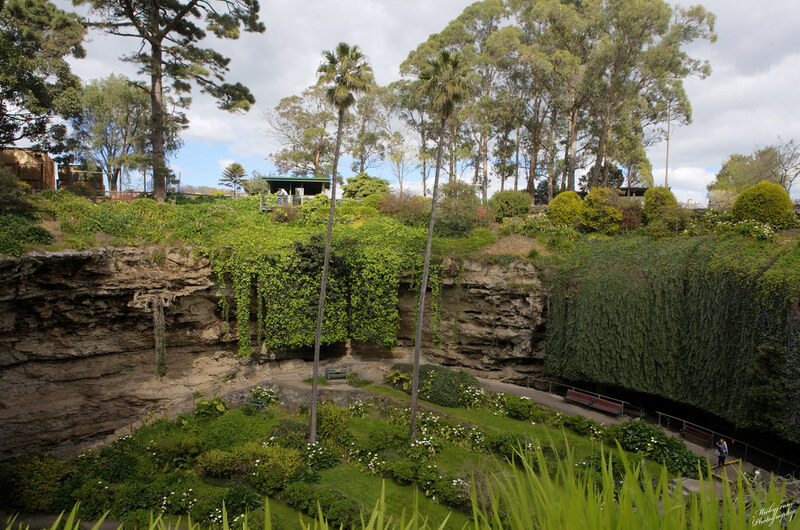 The Sunken Garden in the Umpherston Sinkhole was built by James Umpherston in the 1880s, after he purchased the property about twenty years prior. Being retired, Umpherson wanted to create a place where the people of Mount Gambier could come to relax and escape the heat of summer. He carved a path in the side of the rock and erected a set of wooden steps so people could descend into the sinkhole and to his sunken garden, where he planted all sorts of ferns, shrubs and flowers. The sinkhole even had a small lake within where visitors could take boat rides. The garden became an immediate success and very popular among the residents of Mount Gambier. After James Umpherston died in 1900, his garden fell into disrepair, and it was only about forty years ago that the garden was rescued from a rubbish dump that it had become. The garden was restored by the employees of the South Australian Woods and Forests Department in 1976. They removed the rubbish and cleared the weeds, and planted hydrangeas and other species along the terraces. Once again, the garden has become a popular recreation spot. In 1995, the garden was added to the South Australian Heritage Register.